But skipping on the moisturisation part does not do any good to the skin either! 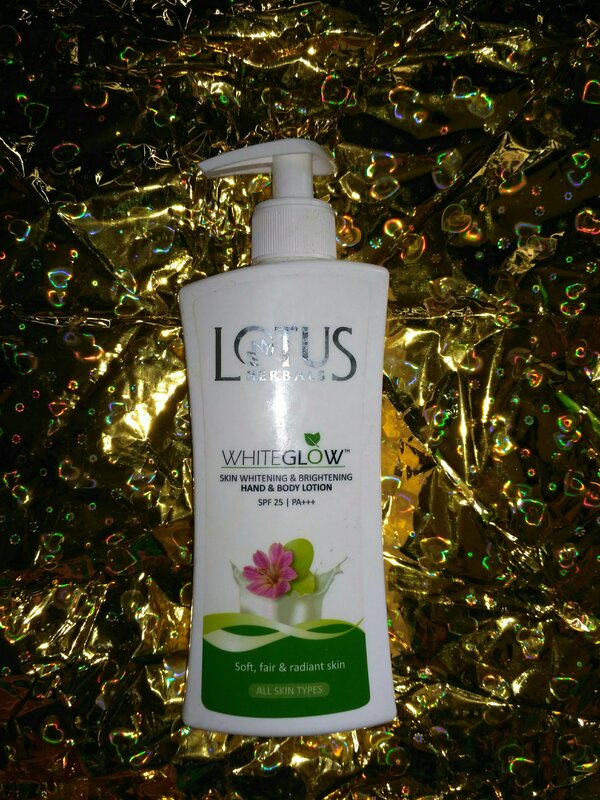 DESCRIPTION: Whiteglow, Skin Whitening and Brightening Hand and Body Lotion is a technologically advanced formulation that provides triple action on skin- Lightening, Whitening and Brightening with the help of rare fruit and proven plant extracts that penetrate deep into the skin to provide enduring action. 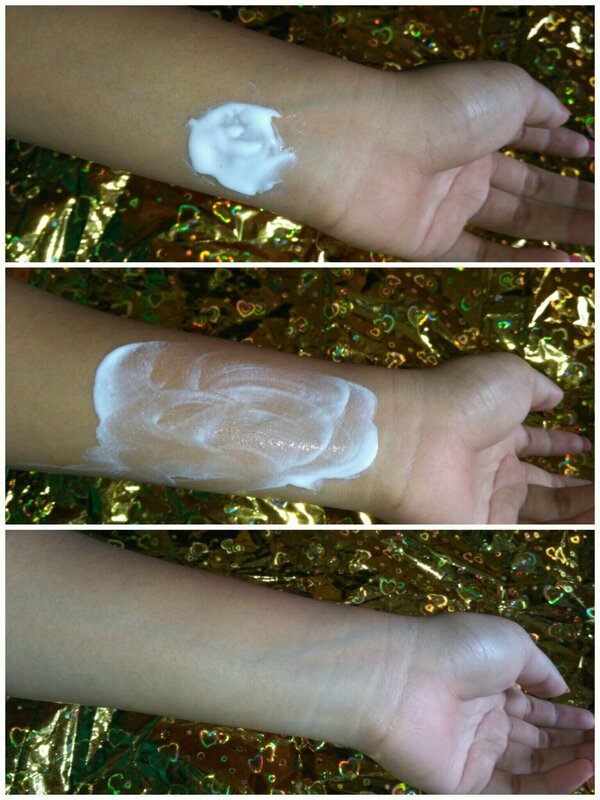 The result, your skin looks soft, fair and radiant. Lightens: It lightens skin’s tone by reducing uneven pigmentation. DIRECTIONS: Apply liberally all over the body, ideally after a shower or bath on damp skin for best skin softening, sealing in the moisture. Focus on dry or stressed areas such as elbows, heels , and knees. Can be used any time your skin is feeling particularly parched and dry. RESULTS: Soft, fair, & radiant skin. Water, light liquid paraffin, glycerin, stearic acid, cetyl alcohol, hydroxypropyl starch phosphate, triethanolamine, glyceryl monostearate, propylene glycol, glyceryl stearate and peg 100 stearate, isopropyl myristate, sodium pca, polysorbate 80, octyl methoxy cinnamate, butyl methoxydibenzoylmethane, Titanium dioxide, glycyrrhiza glabra extract, Camelia sinensis extract, vitis vinifera extract, tocopheryl acetate, 2 phenoxyethanol, methyl paraben, propyl paraben, fragrance. So, the lotion comes with this pump dispenser which is quite easy to use but not travel friendly at all! ( Once I travelled with it and had to put cello tapes around its mouth to stop the leakage, but it still leaked! 😛 😀 ) It is pure white in colour and has a medium to runny consistency which is more on the runny side.. Yes, it did make my skin soft and some what even toned, but it hasn’t removed much of the TAN, and certainly hasn’t whitened my skin. So, it definitely falls short on its Whitening and Brightening claims. 2. Removes tan to a small extent when used regularly. 4. Prevents skin from tanning further. 2. Has Brightening effect but it is more or less negligible. I wasn’t aware of this cream by Lotus herbals. Looks really nice and effective. I would love to try it. That’s reasonable yet such a great product! I should buy one for sure! The products looks amamzing is it good for dry skin as well. Pls advice. You can use it in Summers if you have dry skin.. i have dry body skin an this doesn’t dry it further.. I would have really liked to try this if it wud have removed the tan! Well I guess the scrub is better- because it does cleanses your skin – nicely reviewed! this does look little sticky to me in the pictures. This is a great blog post, I’m using another lotus product! I will definitely check out this product! Thank you for the appreciation dear..
Amazing pics of superb Lotus herbals product. Great review.